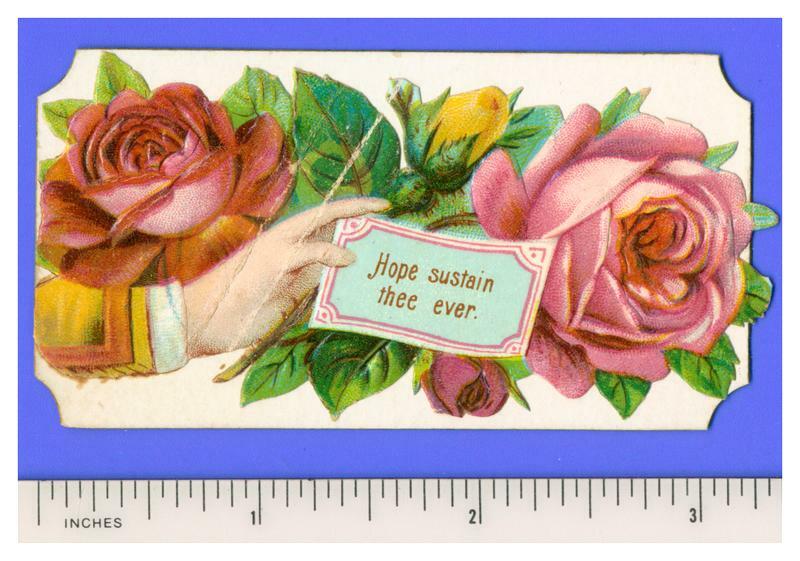 The die-cut scrap is brightly colored and embossed, showing a hand holding a note with roses in the background. It is affixed to a card with partially gilded edges that measures approximately 3-1/4 x 1-3/4 inches. The visitor's name is printed on the card under the scrap. The card has only slight wear. The scrap has two diagonal creases (see images).